Epic Games has built a reputation for listening and changing Fortnite based off the newest fan feedback. And as a result, it looks like some substantial changes could be coming to the game's looting system soon. As you may know, in Fortnite if your inventory slots aren't full, then when you pick up an item or weapon it automatically takes a vacant slot. And most of the time this is fine. But sometimes when you're picking up something new, it's to replace an item or weapon you already have. However, if you're inventory slots aren't full, then it won't replace said item/weapon. And so if you have a common burst rifle and come across a SCAR, you can't simply just replace it. You'll have to pick up the SCAR, then go into your inventory to drop the common burst rifle, and then move the SCAR over into the preferred slot. And not only is this process tedious, but it takes valuable seconds in the game, which can be the difference between life and death sometimes. Plus, if you like to always keep an inventory slot open for quickly picking up any good loot you come across, then this is a very common problem you have to deal with. It's not a huge issue, but it's a quality of life problem that I think most would love to see changed. Luckily, it looks like Epic Games may soon be doing just that. Recently a Reddit user took to the forum with a simple solution to the problem: if you want to directly swap something, all you need to is hold the button down rather than press it. Not long after the quality-of-life suggestion went up, Fortnite Battle Royale's design lead Eric Williamson commented on the post saying the suggestion was great, and that he and his team would "investigate." However, just because Williamson says he and co. will investigate the solution, doesn't mean it will actually be implemented into the game. 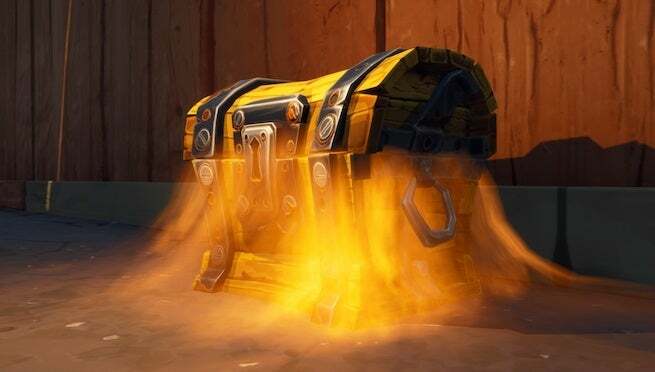 That said, it's at least a glimmer of hope that Epic Games will start improving Fortnite's looting system. They've improved virtually every other aspect of the game, so it feels like it's finally time to tweak looting to be better as well.